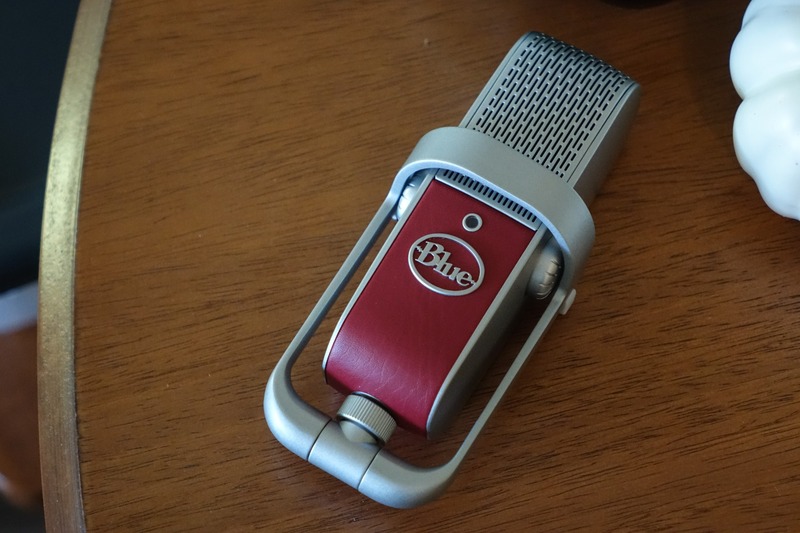 If you're not in the market for a $200 USB microphone, this article's probably not for you - just a warning. If you are potentially in the market for such a thing, you may have heard about Blue's newest product, the Raspberry. You may also have held back because of its alleged iOS, PC, and OS X compatibility - no Android. Well, while Blue doesn't advertise that the Raspberry is Android-compatible for good reason, they did tell me that there's a very good chance it works with a lot of Android devices (those with USB OTG, that is) anyway. My finding is that this is an accurate assessment. If you have a newer Samsung phone, in particular, I'd wholeheartedly recommend it, as it worked all but flawlessly on a Galaxy S7 edge, S6, and Note 5. The Raspberry is extremely simple to use, though you will need to pick up a USB OTG cable for it to work with any Android device. This is because the cables included in the box are a microUSB to USB-A and a microUSB to Lightning (the microphone uses microUSB). Once you've got that, though, it's smooth sailing - just plug and play. 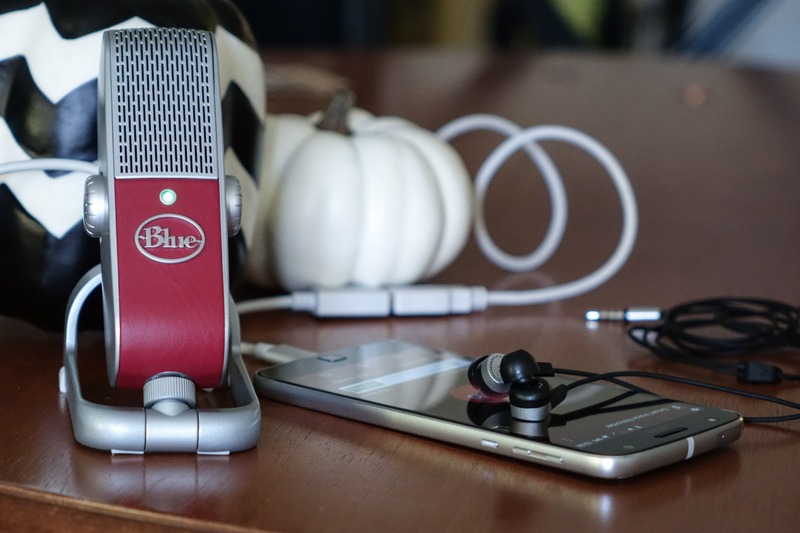 The Raspberry makes setting up a mobile recording studio an exceptionally compact endeavor. Using the microphone to record is as simple as downloading any app that can access the microphone permission in Android. I used a totally random app from the Play Store as well as Samsung's stock recording app (depending on device) and had no real issues aside from occasionally having to force close the apps when they wouldn't detect the microphone after I'd plugged it in when they were running in the background. Once they saw the microphone, though (no selection required - the system just defaults to the USB audio input device), there was never an issue. Recordings worked and sounded fine, and never crashed. You can hear a [very long] sample of some of the audio I recorded below. The Raspberry is incredibly portable, too. 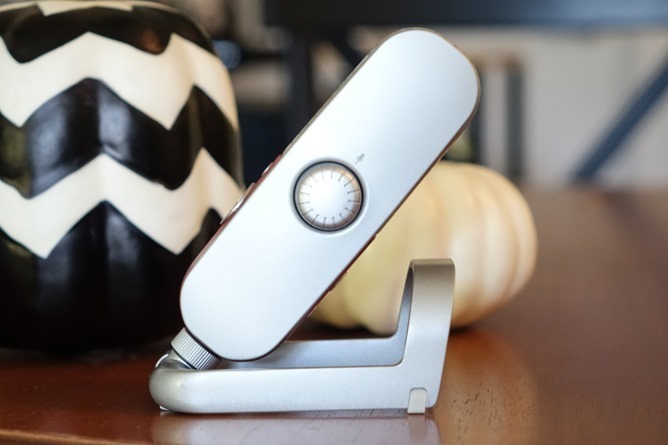 It comes with a folding stand that the microphone collapses into, and the stand can be removed to thread the Raspberry onto a proper stand or mount (via an included two-size adapter) if needed. The stand has rubber feet and a gasket between the thread and the microphone to reduce vibration and interference. The size alone makes the Raspberry an extreme formidable mobile podcasting and voice-over system, offering excellent audio quality and capability. Blue's internal acoustic diffuser allegedly makes the Raspberry especially adept at filtering out background noise, and I did find that the amount of echo and background in my recordings was surprisingly low. The Raspberry is very sensitive up close, but if you pump the gain and lean back, it's plenty capable of getting you from a distance, which would make it a solid choice for interviews or music recording, as well. 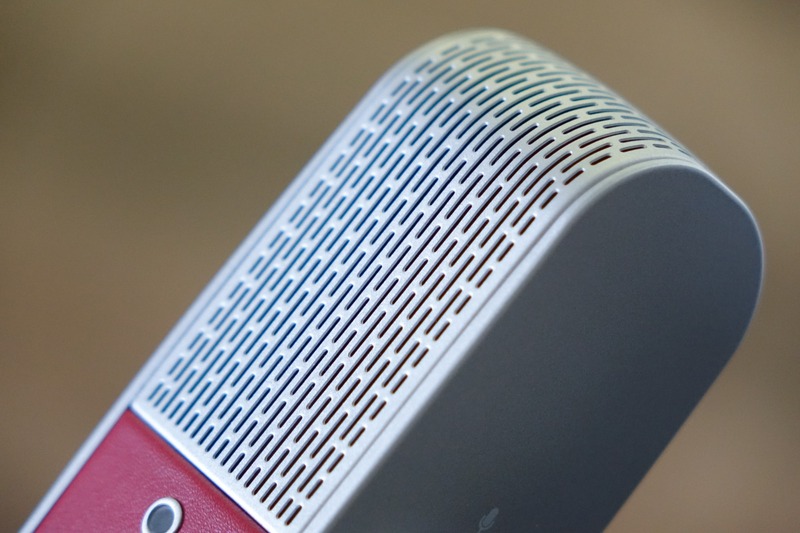 Unlike many microphones in this class, the Raspberry even includes a 3.5mm jack for monitoring, meaning you don't need an on-screen visualizer to get your levels right quickly. The monitor has its own independent volume knob, with the microphone gain sitting opposite. The microphone can be muted by pushing in on the gain knob. The downsides? Well, at least one phone I tested with the Raspberry didn't work at all (Nexus 6 on Android 7.0 - not exactly surprising), and one had an issue with the passthrough audio mode. When not recording, you can listen to audio through the headphone jack on the Raspberry just like you would any connected USB audio device on Android or iOS. Unfortunately, I found this produced really weird results on the Moto Z Play (Snapdragon 625, so an unusual chipset), slowing things down and heavily distorting them. But that was the exception. The other obvious caveat is that it's going to be hard to know how well this microphone will work with a given Android device without explicitly testing it, and I wasn't about to go through every single one on my desk for the sake of the review (sorry, guys). That said, I would strongly assume that any reasonably recent Samsung phone (i.e., in the last year or two) will work with the Raspberry, as my experience testing them provided the best results of any non-iOS device. In the box, you get the microphone, the stand, a carrying pouch, two cables (one USB-A, one Lightning), and the microphone mount adapter. Again, you'll need to provide your own OTG cable to use the Raspberry with an Android device. As to the price: is it worth $200? This is clearly a very capable product from a trusted manufacturer, and one in a category where the competition is rarely as portable or versatile (for example, the Raspberry with stand weighs just 0.6lbs, a similar Shure weighs twice as much). The headphone monitoring jack and portable stand aren't givens on similar mics, either. In that sense, the Raspberry offers a set of features that do seem to make it unique. How big is that market? It's hard to say. 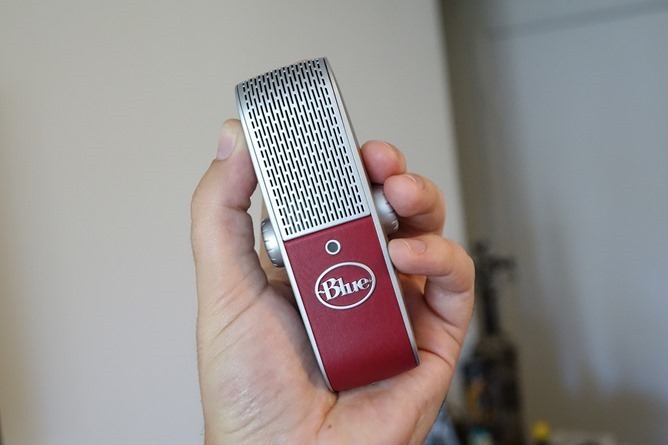 With the stalwart Yeti offering better performance at a lower price, Blue's own relatively portable Snowball the darling of frugal podcasters, and the Spark Digital the brand's go-to for mobile musicians, the Raspberry seems to be in a bit of a pickle with Blue's existing product portfolio. While it's far more portable than either the Yeti or even the Snowball, the same-price Spark allegedly offers a better experience for musicians (tailored sound signature, live monitor LEDs, better components). 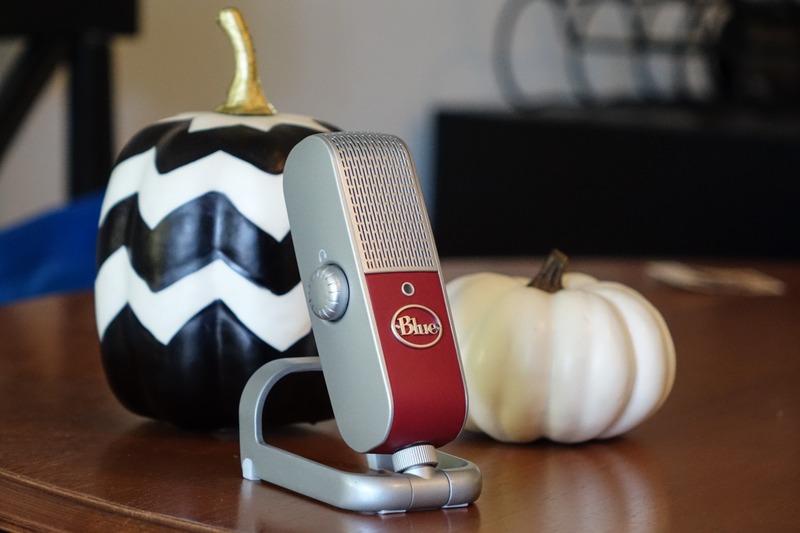 The Yeti is a more robust, fully-featured, and less expensive option for desktop recording, even if it's decidedly not portable. 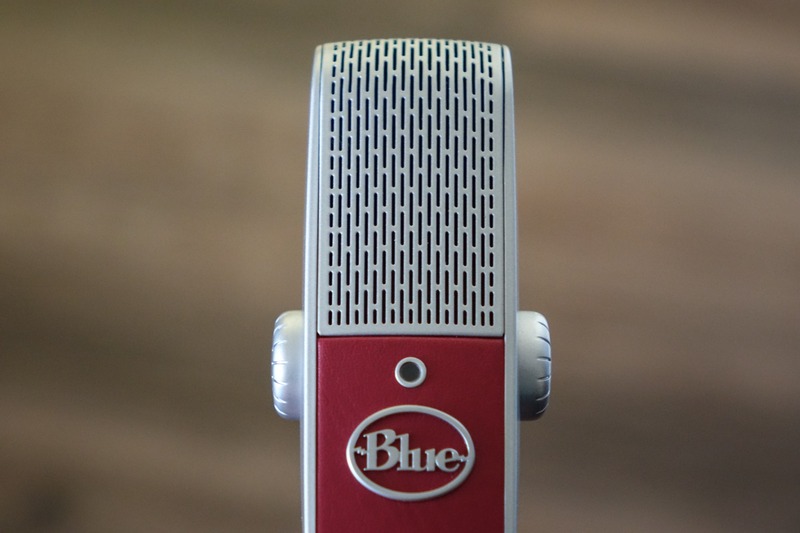 The Snowball isn't designed to work with mobile devices, but its low price makes it the easy choice for mobile broadcasting and voice work on a budget. This puts the Raspberry in a narrow slice of potential buyers. You've got to want very good recording quality and exceptional portability with cost being the lesser concern. You also probably aren't buying it for music, because you've got a more tailored option in the Spark. A Snowball or similar microphone don't offer you the level of performance you want, or perhaps you demand a monitoring jack. As you can see, you've got to really dance around a bit to figure out who this otherwise very good product is for. My guess? Podcasting or voice-over on the go are probably important to the person who finds this appealing. And as someone who does podcast, I can absolutely see the Raspberry's appeal - I'm just uncertain how many others will.